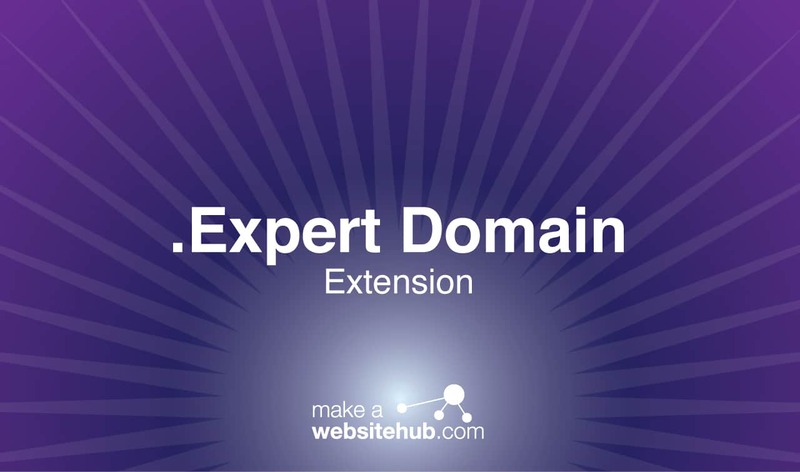 Establish your website as a source of knowledge and information with the .expert domain extension. The .expert domain is a relatively new generic top-level domain that was first delegated in 2014. It has quickly become a go-to for businesses and individuals looking to establish themselves as an authority in their particular field. The word “expert” is a natural attention grabber for Internet users seeking comprehensive information about a given topic. As a result, the domain has been adopted by many institutions in the science and technology industries. It can set a website apart while letting potential visitors know what to expect when they visit a website. While the .expert domain does have its uses in academia and professional applications, there are no restrictions to its use. You don’t have to be a scholar to register the domain. It’s versatile enough to be successful in a broad range of industries. Why Choose a .expert Domain Extension? Whether you’re an expert in science, business, or even fashion, the .expert domain can help you succeed in an ever-growing Internet market. Most companies utilize a traditional .com or .org domain extension. While these options may have been more than enough to stand out in the early days of the Internet, a lot of things have changed since then. Today, web users have a world of information at their fingertips. A unique extension, such as .expert, will get your website noticed. It conveys a sense of professionalism and expertise right off the bat. People don’t want to sift through numerous pages to get the information they’re after. Seeing the word “expert” tacked onto the end of a web address will make them more inclined to see what your website is all about. The .expert domain can also be a big part of your brand’s overall Internet identity. If you or your company has worked hard to make strides in your industry, why not let the world know? With a .expert extension, you’re automatically putting your best foot forward, letting readers know that you have information you want to share. It’s a simple, yet relevant extension that can play a big role in how your business is seen in the eyes of web users. You can take a page from the many companies who use the .expert domain to their advantage. A domain extension can be much more than a part of your web address. It can also become a part of your overall brand. For example, if you run an informative blog explaining taxes and other finance-related issues, you could register your website as tax.expert. This small phrase gives your readers all the information they need to know about your website at a glance. The domain is also very memorable, allowing you to use the entire address as part of your marketing campaigns, website design, and much more. The simplicity of the domain extension also opens up the possibilities for domain hacking. You can easily implement the extension to come up with creative phrases that stand out. Companies that cater to fashion-savvy readers can use something like thefashion.expert. A business selling pet products can create a fun web address like askapet.expert. The possibilities are endless. Where Can You Buy a .expert Domain? You can get a professional .expert domain at many popular registrars. The generic domain does not have any use restrictions. It can be purchased by virtually any company or individual. Like all other generic top-level domains, it can be registered for up to 10 years at a time. Check with some of the following domain registrars to see if your desired domain is available.